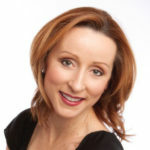 Dr Kirsten Connan graduated from the University of Sydney Medical School in 2001, trained at the Royal Women’s Hospital in Melbourne, and received her FRANZCOG in 2010. She holds a DDU (O&G) and has recently completed a Masters of Clinical Education (University of Melbourne) with a thesis entitled ‘Gender and Leadership in Obstetric and Gynaecology in Australia and New Zealand’. In 2016, Kirsten was awarded the Tasmanian Telstra Business Women (Entrepreneurial) Award for her business lead as co-founder and co-director of TasOGS – Tasmania’s first all-female O&G specialist practice. Kirsten volunteers with Dress for Success, and is a active member of the Telstra Alumni and the Commonwealth Bank Women in Focus groups. Kirsten is actively engaged in learning about business, leadership, and mentoring, and spends her spare time with her family, reading, travelling, working overseas, running and exploring her backyard of Tasmania! She can be found at @Connankf on Twitter and as Dr Kirsten Connan on Facebook.